This is the first year that I make a gingerbread train... It was fun since it's very different from making houses... 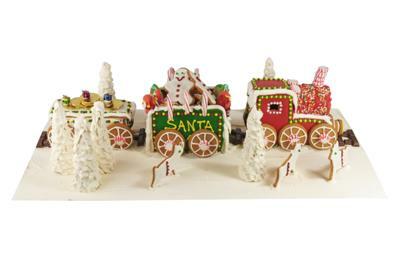 I put candy and glaced cookies in the wagons, as freight, and made the rail with small chocolate bars.... Kids love the train, and I am sure next year I'll be able to improve it.